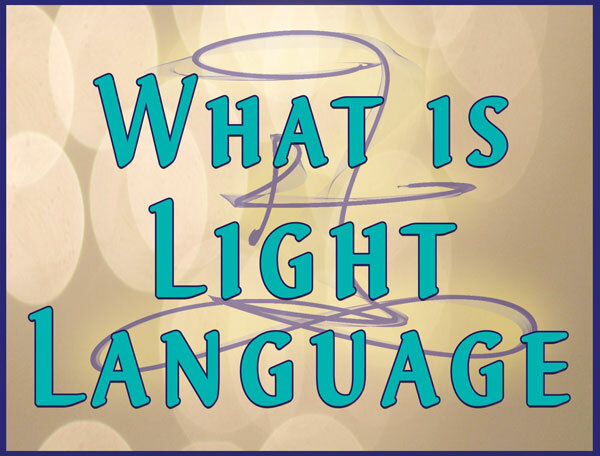 This is why Ascension is about being consciously and actively focused on the Light, the quantum information, your inner world—because that is where real change begins. The focus on your thoughts and emotions is about utilizing your power to reshape Life from within, within the quantum realm. Peace and patience are key to creating the (k)new within the chaos of the current human condition. December heralds a trajectory of choice that diverges the path of connection. ;o) A quiet within the chaos. Areon is calling 2017 The Year of The Empowered Sovereign. Within the human experience duality, separation, and physical conditionality are obvious. But they’re not the whole story. The Divine Human experience also includes the unification with the subtle realm of Oneness, connection, and unconditionality. 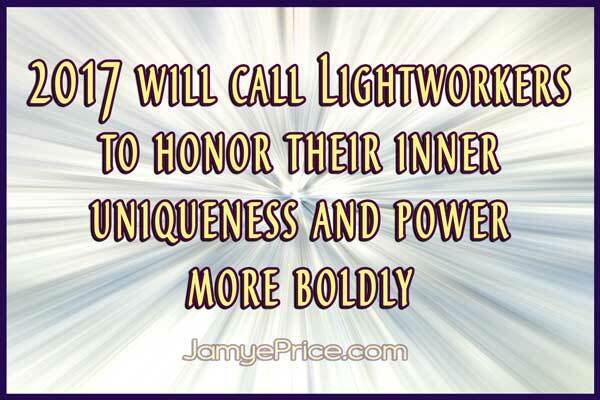 2017 will call Lightworkers to honor their inner uniqueness and power more boldly. It’s an inside job. THE honors your uniqueness. In all of timespace, you are unique. With all of your parallel lives, your timelessness, your infinite nature—your unique perspective adds to the totality of perfection that Life is. Do you honor your uniqueness and all of the beautiful uniqueness around you? That which stirs you to compassion, to courage, to a new direction, to a new connection? EMPOWERED honors your work. In this realm of time and space, your unique perspective leads you to unique choice, which leads you to unique action. It is always available to you on the inner realm. The past tense of empowered is a clue to this timelessness. You already own it. Pro-claim it! SOVEREIGN honors your divinity. You are the supreme ruler of your inner domain, the realm within which you connect with the Oneness, potential, God, unconditionality, and Love—no matter what the external circumstance presents. You hold court within, the ultimate judge, ruler, and decider of your inner realm. Does the outside dominate you, or do you choose your inner action (interaction)? It’s your response-ability. Because there is an increased focus on inner empowerment and honoring your sovereignty in 2017, we can expect to continue to see humanity polarizing more. For many this will look like strife, divisiveness, and chaos, but for others it will be a more subtle realm experience. Like an understanding of a differences and potentials before an actualization of choice. There is likely going to be quite a bit of surprising experiences in the mainstream. Your Light work will be to look for the potentials that are forming. I’m shown this polarization as cell mitosis—division is life continuing, expanding, a new “generation.” But there is a connection to the whole and what is being created on a larger level that is the broader truth. You are creating the future. Don’t let the outside world confuse your vibration. Areon says this polarization will feel like “bigger gaps,” so be the bridge of connection. 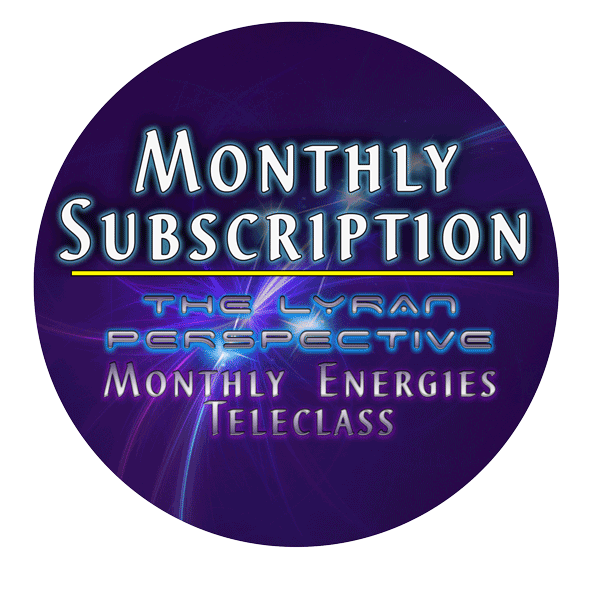 In 2017 look for more emotional detachment at times, more ah-ha moments, and yes, more discord releasing (likely stronger in the first 4 months of the year). At times this may feel like bigger waves that pass more quickly, so in the midst of change keep your eye on the prize of more freedom and empowerment with each shift. For others (or at other times), 2017 will feel more neutral, like you’ve “been there done that.” It may surprise you that you aren’t getting more upset at circumstances. Mark your progress and create from this more empowered stance rather than a fear response. Look for clearer vision within, that your focus can bring you clarity, with less fear about “am I doing it right?” There is a simple yet powerful exercise offered in the January video. 2017 will offer some tests of personal responsibility, so observe your integrity, your intentions, and your motivations. This ability to honestly self-observe and assess change is a powerful, powerful, powerful part of Ascension. Can you do that without negative judgment or fear? A weak ego will avoid (go subservient) or distract (go dominant), so as you can observe both challenge and triumph with more ease, you will find more rapid and easier change. And change is constant. I also feel some exciting support in 2017 that in many ways feels like much of the clean slate/reset energy that kept surfacing in 2016 (not the easiest of years!). I especially feel a powerful wave of this coming in February. There is a pattern of dominance/subservience releasing that is a deep wave. Most can’t see the movement of it yet. 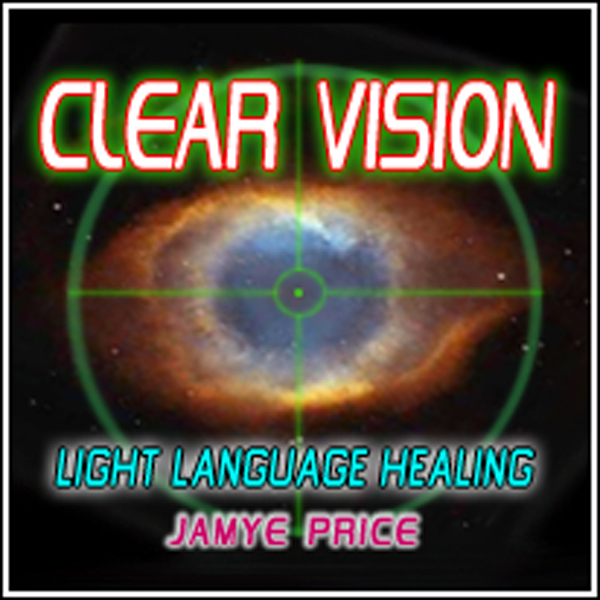 2016 brought a lot of release as you refined and clarified (the Year of Clarity) yourself. It created a momentum of humanity standing up in ways that aren’t always pretty or easy. This wave will continue to grow. There is a pattern of “enabling” that is changing. It begins with a release of past traumas that set up a disempowerment or fracture within that can keep one interacting from past fear. The past, no matter what occurred, offers the potential of empowered support for the present, which builds the future. 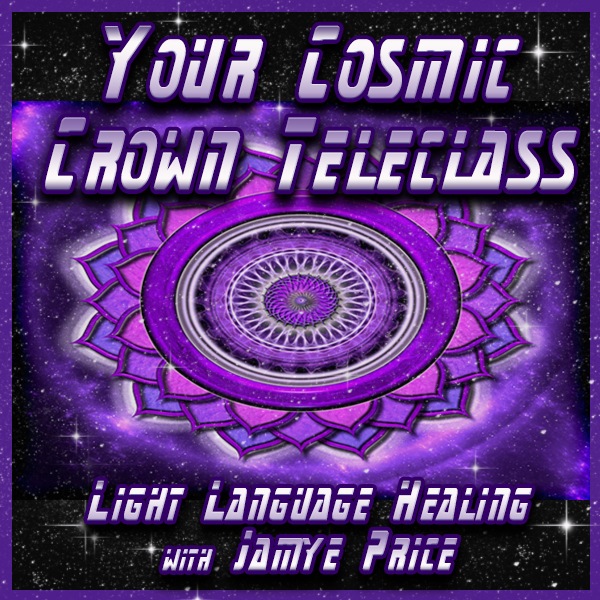 Many sensitive people, Lightworkers, empaths, etc. were overwhelmed by the pain and circumstances of the past and are unconsciously reacting rather than choosing in the present. Again, that ability to self-observe, self-nurture, and support yourself into change (even when you receive support from others) is a vital part of humanity changing. In general January may feel a bit distracting with activity, but it will begin a catalyst of movement that may feel a little removed as well as deep. Your work is always the same, maintain a positive healthy focus of Love while being boldly “grounded” in reality. This anchors the new energies and your inherent divinity into your life and on Earth rather than creating patterns of avoidance. Your power is immense and now you may notice more internal progression (after the workout of 2016!) and more external energetic support. Enjoy the quiet moments of January. They will be silent reminders that you are on the right track. This is more natural to us than it sometimes feels. Love and improvement are the natural pull of Life. 2017 is going to be a fast-moving, intense year in many ways. Yet for those on a path of conscious Ascension, you may notice healthy detachment (almost surprisingly after 2016!) helping you to remain more neutral and focused in the midst of intensity. This will benefit you and humanity. 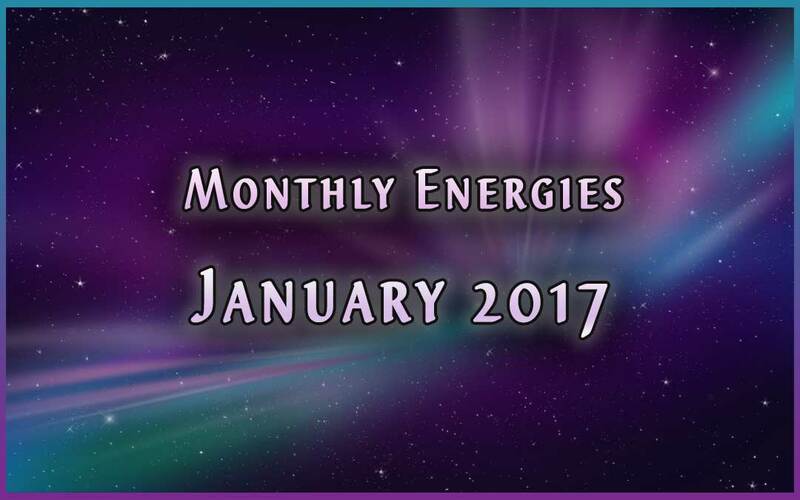 Remind yourself of the amazing work you did in 2016 and know that 2017 will be a wonderfully transformative year of new beginnings (it’s a “1” year numerologically – a new beginning) that are calling you to open to receive the support of Life flowing through you. You are Life in human form and cherished beyond measure. See that in yourself and in All Life and keep enhancing Life with your blessed presence. Happy 2017! Excellent, Janet! That is the important work and it makes a real difference! Much Love to you! Thank you for much for sharing, Jamye! This is so right-on and very helpful! Thank you, Rain Love! Have a beautiful 2017! I’ve been noticing and feeling the detachment in the last couple of months. Feeling quite amused by it all ???? Empowerment and freedom are my focus words for 2017 so after reading your post I feel I’m on the right track. We live in very exciting times!! Thank you for all you do❤???????????? Yay, Beth! You’re right on track! These are not the easiest of times, but they are exciting! Hang in there, Colleen. This too shall pass. I use that reminder a lot for myself! I’m sending you Love! I’ve been feeling the emotional detachment, the inability to relate to drama, for months now and I’m very excited about the energies of 2017. Thank you for putting feelings into words. Excellent, Courtni! It’s going to be a fast-paced year, so it is good to be feeling the detached compassion! Happy new year!